Day 3 of the Ireland Adventure is all about nature. I didn't know I could be that outdoorsy, but the great thing about traveling is that you can surprise yourself sometimes. On our 3rd day in the Emerald Isle we left Cork (read about it in my last post) and headed west towards County Kerry and discovered the natural beauty the area has to offer, which is some of the best in all of Ireland. I've heard many people say if there is only one part of Ireland you can visit, this would be the one. After seeing it, I can understand why. This is the Ireland on postcards. One of 4ish peninsulas in Southwest Ireland, the Beara Peninsula is the bit of land between Kenmare and Bantry that juts out into the Atlantic. It is where County Cork meets County Kerry. Ring of Beara - A scenic route along the coast of the Beara Peninsula offering stunning views and some of the prettiest nature around. This drive is a little less known and therefore less touristy than the famous Ring of Kerry on the neighboring Iveragh Peninsula. For this reason alone I recommend it, but it's also a good choice if you don't have a full day to dedicate to the Ring of Kerry or if you're like us traveling when daylight hours are limited and you want to see as much as possible before it gets dark. NOTE: If you do decide to stick with the Ring of Kerry, beware that in summer months it can become extremely congested with tourist traffic from buses, cars, cyclists, etc. especially on the narrow parts. If you're going by car, consider starting later in the morning, giving the buses a head start. Check its website before you go to make sure you are driving in the right direction around the peninsula (clockwise or counterclockwise). It helps manage traffic flow and stress levels because 2-way traffic on some parts is a real tight fit, especially with large tourist buses. Healy Pass - The BEST part of the Ring of Beara and a highlight of our entire trip. It is a MUST whether you're short on time like we were or if you have all the time in the world. 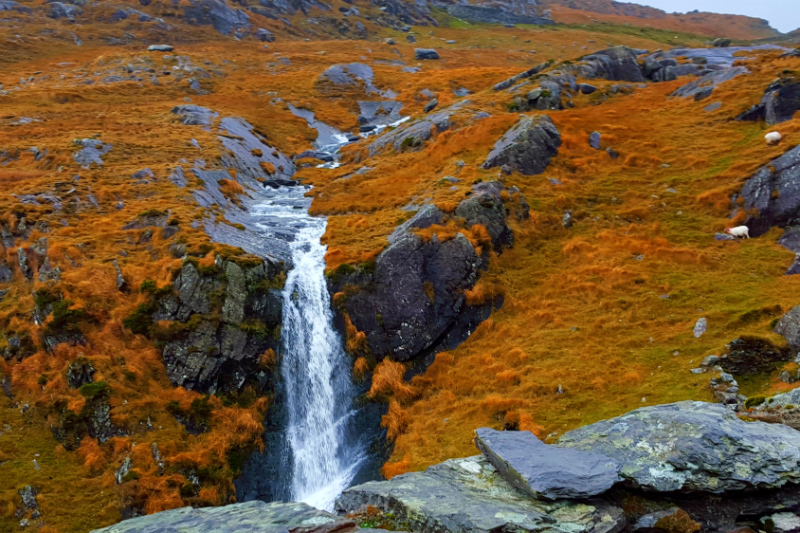 The Healy Pass (also known as R574 on the maps) is a road (barely) which runs North/South and intersects the Beara Peninsula cutting it down the middle. The drive brings you on windy narrow roads up through the sheep-speckled mountains where you actually have to brake for sheep crossing the road. There is everything from grassy hills and rocks to waterfalls and rainbows. It's truly beautiful, so much that it seems fake. Prepare to be in awe the entire drive! It takes under an hour, but make sure to factor in time for staring at the majestic views and for picture-taking. And for chatting with the sheep. If you're lucky, like us, you will be the only ones on the entire road (besides the sheep). It felt like we had this beautiful, undiscovered land all to ourselves. YOU DON'T WANT TO MISS THIS! 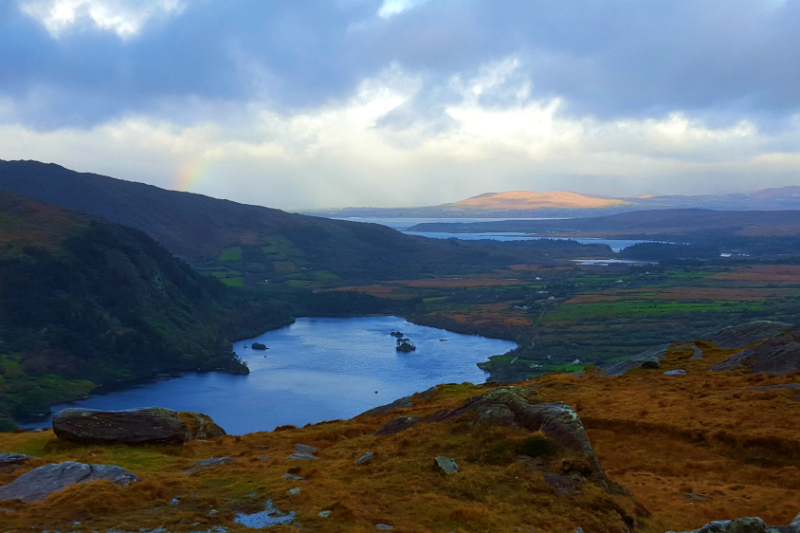 This mid-size town is best known as the jumping off point for the Ring of Kerry but offers some fun pub life, cute shops and good restaurants. It has a true Irish feel and Christmastime is especially festive here. Killarney National Park - Located just outside town, this national park is a major highlight and must-see of the area due to its stunning mountains, lakes and woods. There are many viewing points to pull over along the way, but make sure you do not miss Ladies View, Muckross Lake and Torc Waterfall. The short walk through the woods to the Torc Waterfall is so incredibly green with leaves and moss and shamrocks, it's like something out of the Irish Spring soap commercials. The park is technically part of the Ring of Kerry circuit but is also easy to access from the Ring of Beara via the N71. Ross Castle - Located on the Lough Leane lake in Killarney National Park, stands this old stone tower house. The grounds are exactly what you would picture of Irish countryside-- a castle situated on a lake with swans swimming about, surrounded by green land. The castle itself offers B&B accommodations for those looking for a unique experience. Muckross Estate - Also located in Killarney National Park, this compound consists of the mansion of Muckross House, the farms, and the abbey all of which are situated on the edge of Muckross Lake. Entrance is by guided tour. For a really special experience, hire a jaunting car (horse-drawn carriage) to take you around the grounds. 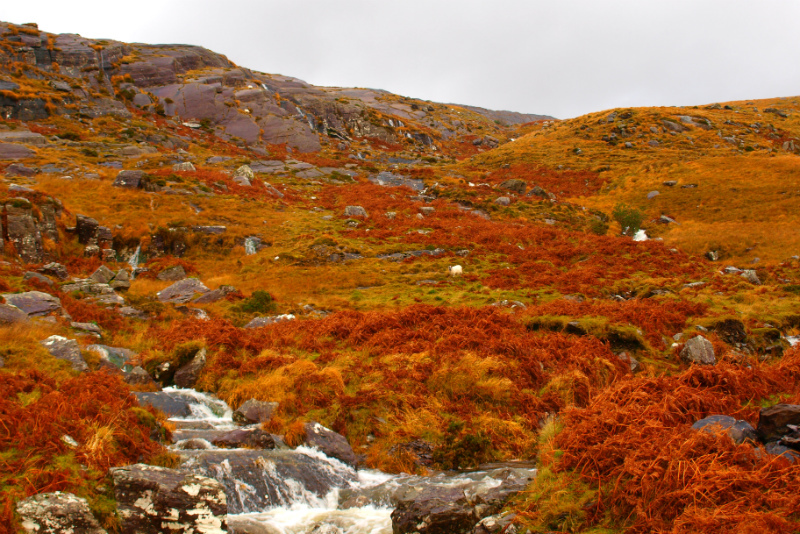 Gap of Dunloe and Molls Gap - Located slightly outside of Killarney National Park, these passageways through the mountains are beautifully rugged and offer majestic views. Though in the summer they can get extremely crowded and backed up with traffic, especially the Gap of Dunloe, so plan accordingly. If I had to pick, this was my favorite day of the vacation. Seeing the landscapes on the Beara Peninsula and in Killarney National Park was one of the most unique experiences I've had. In my opinion, there's no better way to enjoy Ireland! Next up will be the Dingle Peninsula and Limerick to wrap up the adventure. There's good stuff ahead so stay tuned!